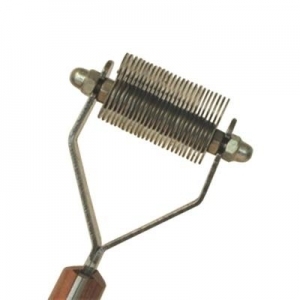 Wonderful Grooming tool for Keeshonds, Old English Sheepdogs, Samoyeds and other thick coated breeds. Replacement blade only. See Mars Coat King #12 Blade for full product details. Replacement blade only. See Mars Coat King #23 Double Blade for full product details. Replacement blade only. See Mars Coat King #26 Blade for full product details. Replacement blade only. See Mars Coat King #30 Double Blade for full product details. Replacement blade only. See Mars Coat King Mini Width #10 Blade for full product details. Replacement blade only. See Mars Coat King Mini Width #14 Blade for full product details.